In 1901, the family lived at 11 Burnt Houses near Cockfield. James worked as a colliery blacksmith. In 1911, they lived at 5 Burnt Houses, James was now a colliery fitter, 23 years old Arthur worked as a stone mason, 21 years old Alfred worked as a coal miner (hewer), 19 years old Luther a pump engineman and 16 years old Jasper was a coal miner (pony driver). In 1917, Luther married Sarah M. Bowman. The 21/Manchesters was part of the 91st Brigade, 7th Division, 10th Corps of the Second Army. The 21/Manchesters left Littlekemmel Camp at 12.40pm and got to their assembly positions by 5.15pm. There were only 2 slight casualties that day. It was wet. They remained dug in during the next day but it passed quietly. It rained heavily during the night of 25/26 October. The battle strength going up the line was 18 Officers, 1 Medical Officer and 512 Other Ranks. C Company formed to the rear of A Company and it was intended for it to follow A Company until it reached a line 200 yards in advance of TOWER TRENCH. D Company mopping up details were already in position and detached to their respective companies. b] advance continued until zero+22 – A Company on left came under exceedingly heavy enfilading machine gun fire from LEWIS HOUSE and were practically decimated. The left flank of A Company was unsupported. Zero+25 A Company dug in and established a post. c] Zero+25 B Company on the right came under exceedingly heavy machine gun fire from BERRY COTTS. At zero+30 B Company on right having suffered exceedingly heavy casualties and disorganised due to heavy flow of men [2/Gordon Highlanders & 2/Border Regiment] dug in on a line slightly in advance of TOWER TRENCH which was occupied by elements of D Company [moppers-up]. d] Zero+20 a party of some 70 or 80 men [2/Gordon Highlanders & 2/Border Regiment] passed through 21/Manchesters – obviously lost their direction and broke up the formation of 21/Manchesters. e] There is every reason to believe that Officers and men of A & B Companies able to continue their advance but the barrage was lost – nothing is known of their fate and no trace could be found of them although they are reported to have gone on. f] Action of C Company – passed over TOWER TRENCH at zero+10 where elements of D Company were found. The advance continued until zero+25 when they came under very severe machine gun fire from LEWIS HOUSE. This force was reduced to 4 men  and a post was established. The flanks of this company was unsupported during the advance. The company withdrew to another post 50 yards in front of TOWER TRENCH were elements of A Company were met with. At dusk they withdrew to the main line of defence which was the line of our original posts. g] Zero+150 all available men from 21/Manchesters, 2/Queens, 2/Borders & 2/Gordon Highlanders were organised under Lieut. Buckley and CSM Lucy and established in our old line of posts. Throughout the day patrols were sent out – the only definite information was that a line had been established on our old line of posts. Rifles of the assaulting troops had become unserviceable on account of the mud. This resulted in the battalion being relieved by 20/Manchesters. Relief was completed by 2.15am 27 October and the battalion withdrew to BOIS CAMP near BRASSERIE. Battalion marching order as far as can be ascertained – 5 Officers & 190 Other Ranks. The muddy and wet state of the ground rendered movement exceedingly difficult and made it impossible for the men to keep their rifles in a serviceable and usable condition. Thus rifle and Lewis guns were rendered HORS-de-COMBAT almost before the advance commenced. The enemy machine gun fire was exceedingly intense and our barrage seemed in no way to deter him from using his guns. The flow of men referred to in para 9[d] were without doubt responsible for destroying the formation of this Battalion in its advance and for causing a state of chaos which prejudiced any further advance to a fatal degree. 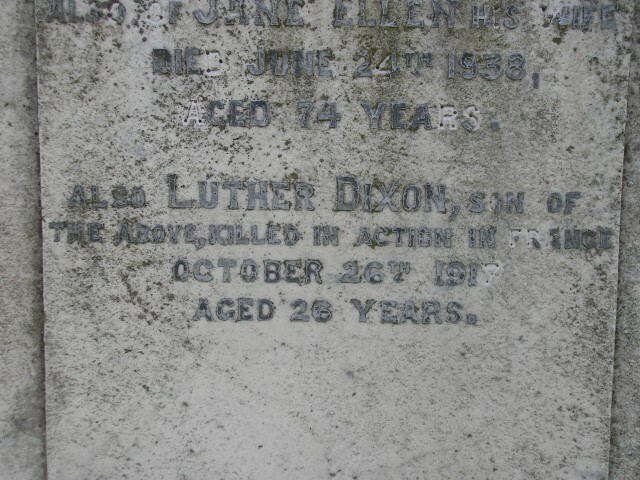 Later research records that the battalion lost 107 other ranks killed in action 24 October 1917 including Private L.D. Kirby. This date is prior to the commencement of the battle and having consulted the battalion’s war diary, must be incorrect – 26 October 1917 must be the correct date of death. Private L.D. Kirby was awarded the British War and Victory medals. Private L.D. Kirby is commemorated on the Cockfield war Memorial and the plaque in the Cockfield Primitive Methodist Church. Private L.D. 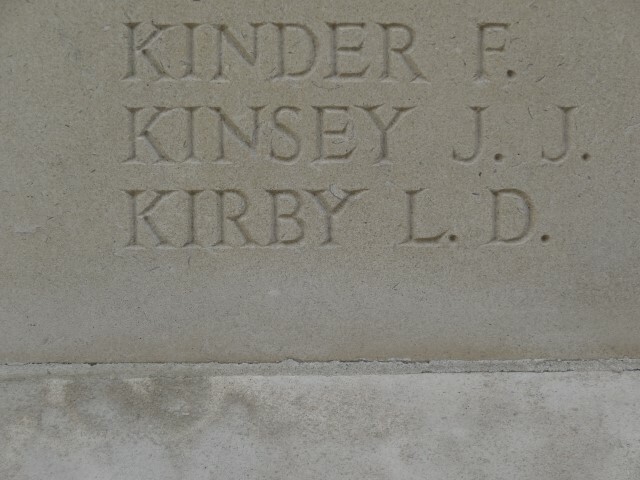 Kirby is commemorated on the family headstone in Cockfield Cemetery – the inscription bears the date 26th October 1917. Commonwealth War Graves Commission records 24 October 1917 but the commemoration on the family headstone records 26 October 1917. 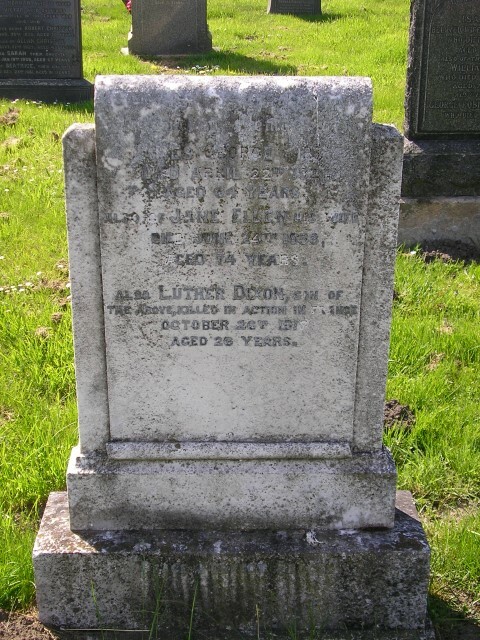 The War Dairy confirms that the battalion went into attack 26 October, nothing of consequence was recorded 24 October thus the date of his death is probably 26 October 1917. The register of soldiers’ effects records his date of death as “24/27 October 1917 on or shortly after in action or died of wounds Belgium”. 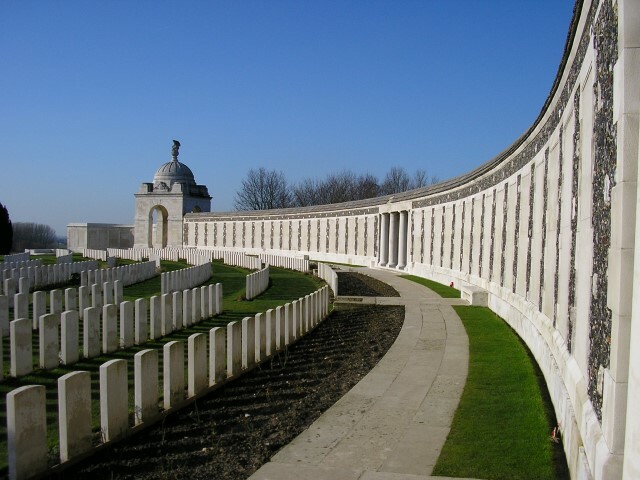 Officers & Soldiers Died in the Great War – is this correct? Should it be 26th October?